Thanks to Sara for tagging me. 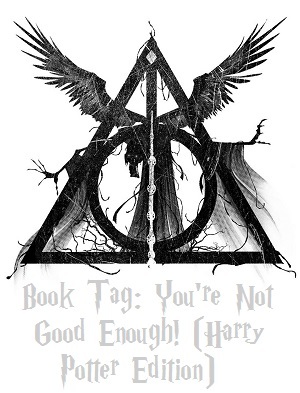 I recently finished my re-read of this series and I am currently doing the HP tags while it is fresh in mind. Instead of writing down all the names, I followed Sara and Bibi’s lead and put them into a randomizer! Then I just went in the order they showed up in, so the first two for the first question followed by the next two for the second question, and so on. Cedric Diggory seems the right choice for this one. Fred will find a way to troll the whole team for a good laugh. 2. BOTH CHARACTERS WANT TO KILL YOU. WHICH ONE WOULD YOU KILL FIRST SO YOU HAVE A BETTER CHANCE OF SURVIVING? Why are you doing this to me Sara?? 3. YOU’RE ON THE BACHELOR/BACHELORETTE AND YOU’RE DOWN TO THESE TWO CHARACTERS. WHICH ONE ARE YOU GOING TO GIVE YOUR ROSE TO? 4. YOU’VE BEEN CHOSEN FOR THE HUNGER GAMES. WHO WOULD MOST LIKELY VOLUNTEER IN YOUR PLACE? Hermione although I am ready to volunteer for her! 5. YOU’RE STRANDED ON AN ISLAND WITH AN ACTIVE VOLCANO. WHICH CHARACTER WOULD YOU THROW INTO A VOLCANO AS A SACRIFICE? 6. YOU’RE THE NEXT DC/MARVEL SUPERHERO (WITH YOUR OWN T.V. SHOW, OF COURSE). WHO IS YOUR SIDEKICK? 7. YOU’RE A MANAGER OF AN AVOCADO ADMIRING COMPANY. WHO WOULD YOU FIRE FOR LACK OF COMMUNICATION SKILLS? 8. YOU’VE JUST FINISHED A BOOK IN WHICH YOUR FAVORITE CHARACTER DIES. WHICH CHARACTER IS MOST LIKELY TO COMFORT YOU? 9. UGH, IT’S HIGH SCHOOL. WHO WOULD MOST LIKELY BE PART OF THE POPULAR CLIQUE? 10. THE DAY HAS ARRIVED – YOU’RE FINALLY A YEAR OLDER! WHO WOULD HAVE THE NERVE TO FORGET YOUR BIRTHDAY? Malfoy, I don’t know if he cares to start with. 11. 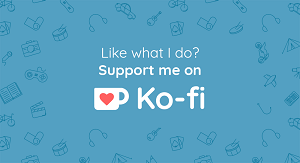 YOU’VE JUST FOUND AN UPCOMING BOOKTUBE STAR! WHO WOULD IT MOST LIKELY BE? 12. SLEEPOVER TIME! UNFORTUNATELY, YOU CAN ONLY INVITE ONE PERSON. WHO WOULD YOU INVITE? 13. BAM, YOU’RE PREGNANT. WHO IS THE FATHER/MOTHER? 14. YOU’VE JUST WRITTEN A SUPER IMPORTANT TEXT. WHO WOULD SEE IT, BUT NOT REPLY? 15. YOU’VE JUST WOKEN UP AND IT’S TIME FOR BREAKFAST. YOUR MUM’S BEEN REPLACED BY… WHO?! Neither, please don’t me pick! You don’t have to do this but I am looking forward to your answers if you do so! You had some hard choices to make but I think I agree with all of them! I think there were a couple of hard questions but the other made sense! Those are some hard choices. Oh gosh.. those options of replacing your mom are both horrible!!! I wouldn’t be able to pick either! Haha, love this tag! The last question made me laugh so hard! Great answers! That was the hardest question! I still can’t answer it! Gosh, I couldn’t imagine Hermione without Ron! and I LOVE Hermione! Ok, I should have picked Ron and that makes Hermione available for me! How did I miss that? !